The Divoom AuraBox is a smart speaker. No, you can’t have conversations with it or use it to voice control your smart home devices like the Amazon Echo or Google Home smart speakers. It is not that kind of smart speaker. 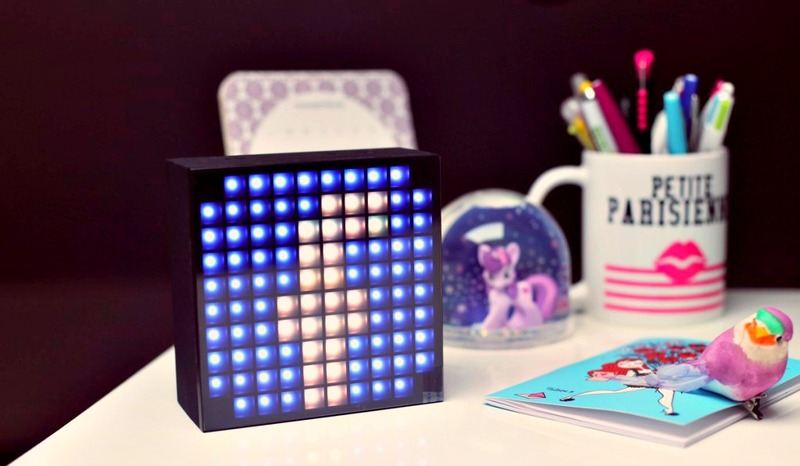 However, it does have a rather interesting 10×10 LED array display that you can customize and create cute graphics and animations. The Divoom AuraBox is first and foremost a wireless Bluetooth speaker. Like any Bluetooth speaker, you pair your smartphone or tablet with the speaker and use it for playing music or even as a speakerphone for making phone calls. It does this adequately but there is nothing special about either functions. 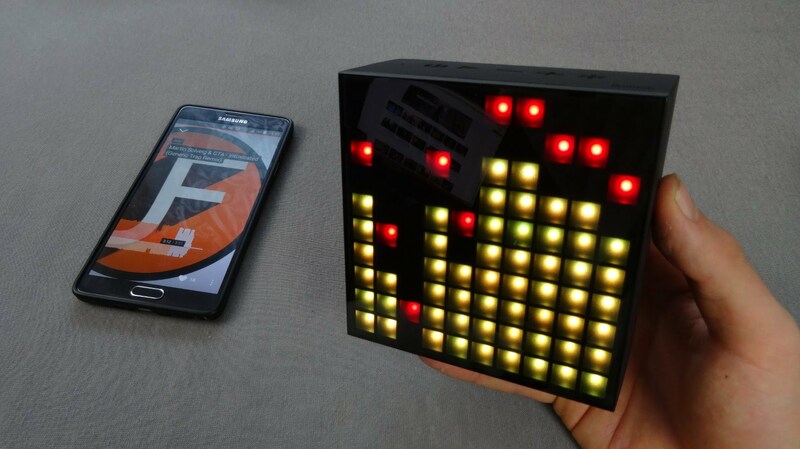 What makes the Divoom AuraBox stand out a little and how it earns its smart speaker moniker is the fact that it has an LED display on the front that is made up by an array of 10×10 LED lights. By default, the display shows the current time. Download and install the free iOS or Android app and the speaker can do much more. Once connected to your phone, you can use the Divoom AuraBox to notify you of incoming messages or notifications from apps such as Facebook, Twitter, WhatsApp and Skype among others. Other things that it can do is to function as an alarm clock. 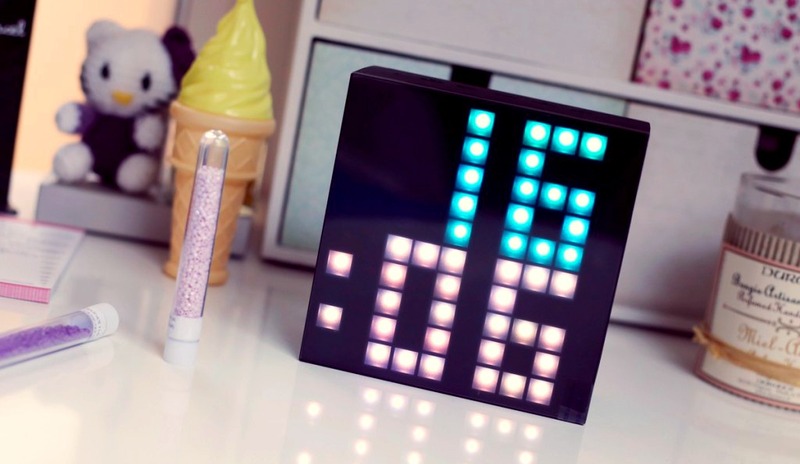 You can even customize the graphic that displays when the alarm goes off. Options range from a forest to the sea with an accompanying alarm melody. Pressing the “light” button on top of the speaker allows you to switch the display to show the current temperature, a few funky looking animations or even display an animated equalizer while you play music. However, the most interesting part of the Divoom AuraBox may be the fact that you can customize your own graphics and animation. This is done via the app. 10×10 pixels may not be much to play with but with a little creativity and lots of imagination, that may be all that you need. The Divoom AuraBox is more of a novelty item than anything but it is a fun device. The programmable light show is rather interesting and might just lead to the discovery of the next superstar video game programmer … maybe. This review is a collaboration between GetdatGadget and Gearbest but the words and opinions are strictly our own. 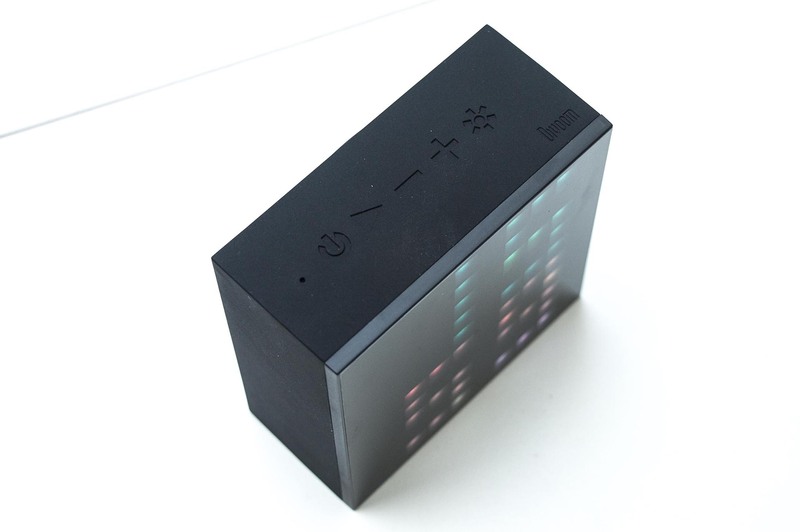 The Divoom AuraBox is a smart speaker. No, you can’t have conversations with it or use it to voice control your smart home devices like the Amazon Echo or Google Home smart speakers.